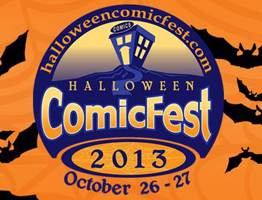 On October 26th & 27th you can score 22 FREE Halloween Themed Comic Books at Halloween ComicFest! Click here to find a participating comic books specialty shop near you. Halloween ComicFest is taking place on Oct. 26th and 27th at participating comic book specialty shops across the country and beyond. During this time, 22 Halloween themed comics and mini comics will be given out for FREE to anyone who goes to a participating comic shop. Titles include Thor, Batman, Spiderman, Adventure Time, My Little Pony and many more! Find a participating comic shop to get the 22 FREE Halloween themed comics.